A U.S. Army research and development facility hosted NATO representatives for a three-day demonstration of its new military mobility software, as NATO allies work to ensure war fighters and their equipment can be quickly moved across Europe. 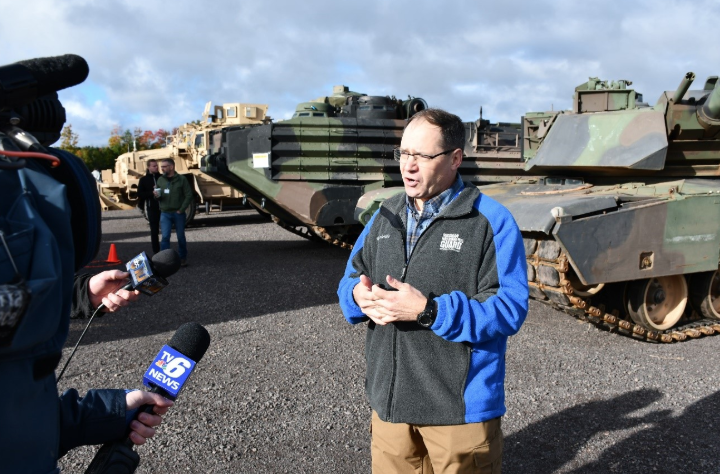 The Tank Automotive Research, Development and Engineering Center led the Next-Generation NATO Reference Mobility Model Development demo in early October at Michigan Technological University’s Keweenaw Research Center. The NG-NRMM program is sponsored by the NATO Science and Technology Organization. TARDEC is part of Army Materiel Command and an enterprise partner in the service’s Tank-Automotive and Armaments Command’s Life Cycle Management Command. The event highlighted the difference in capability between legacy and next-generation mobility software programs. Researchers from TARDEC showcased mobility models that leverage advanced computing power to show how large military vehicles respond to different types of terrain under various environmental conditions. 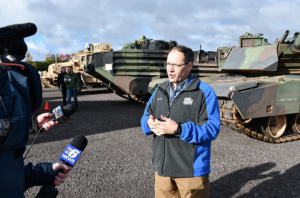 Paul Rogers, director of TARDEC, stressed to NATO representatives the importance of accurately predicting how military vehicles will respond to certain terrains and soils under various climates. According to Jay Meldrum, director of the Keweenaw Research Center, vehicles on its research courses interacted with terrains involving soft soil, telephone poles, parking curbs, rocks and boulders. This research could prove relevant when it comes to “the change in the character of warfare, the kinds of operations that NATO member states have been part of, as well as due to technology developments,” said Marta Kepe, a Rand think tank analyst specializing in defense, security and infrastructure. A myriad other complexities complicate the movement of military land platforms across Europe, including “the conditions of transport infrastructure; multinational, cross-border and national level-movement coordination, including between military users of infrastructure and the civilian managers; and national legal requirements,” Kepe added. Leadership on both sides of the Atlantic are focused on military mobility in Europe. In fact, it is a leading issue of the European Union’s nascent Permanent Structured Cooperation initiative. Due to the legislative and administrative roadblocks, some believe the nature of the EU makes the organization well-suited to address the political challenges of mobility. “The EU has a lot of experience when it comes to infrastructure, a lot of experience when it comes to regulations,” the permanent secretary for the Estonian Defense Ministry, Jonatan Vseviov, said June 13 at the EU Security and Washington Symposium. At a NATO summit in July, the alliance released a declaration noting the importance of identifying alternative supply routes and ensuring adequate transportation capabilities.